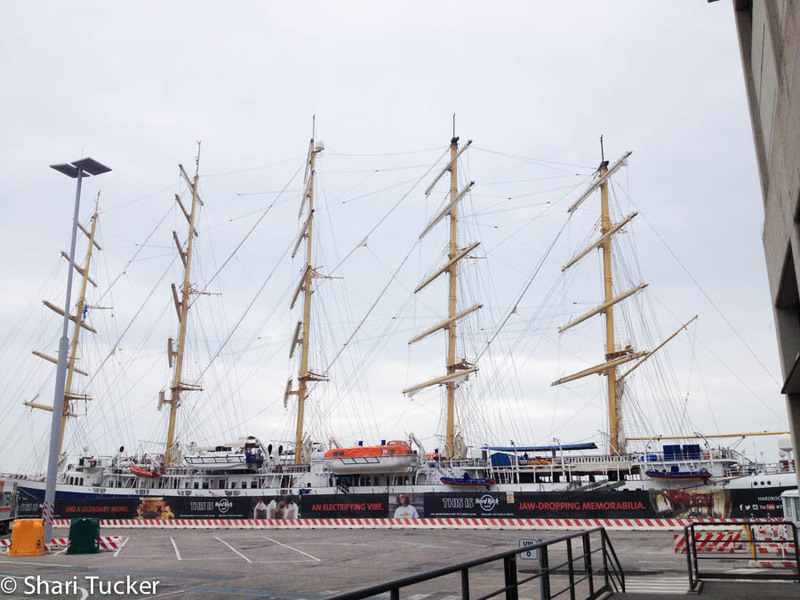 When the opportunity came for me to set sail on the Star Clipper’s Royal Clipper in the Mediterranean, I couldn’t believe it. I had almost booked my flights that day, but hadn’t finalized them yet, when the call came from my Star Clipper’s rep, Florentina. 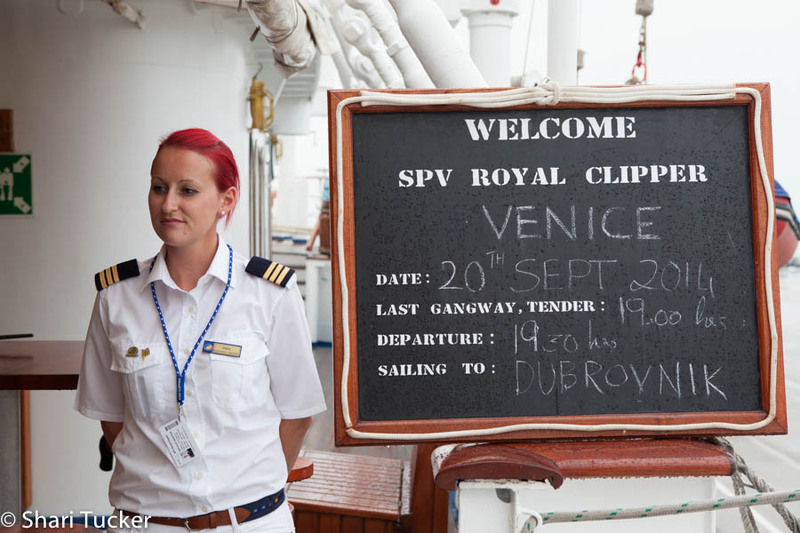 She had a space available for me on a 7-day sailing adventure departing from Venice, with stops in Croatia, Montenegro and Slovenia. I had been considering doing these areas (at minimum Croatia) by land and now, here she was, offering me the chance to do them by land and sea. Taking the opportunity would mean leaving Canada a week earlier than I had planned and finding a way to deal with the sea-sickness that I’m prone to. I love the ocean. I love boats. I love sailing (and the cute sailors in white don’t hurt!). But, about 75% of the time I’ve been on boats, I’ve been horribly ill. Could I really go on a Mediterranean sailing and enjoy it? I was really worried about being sick the entire time. In the end, my thirst for adventure and love of the ocean far outweighed my hatred of being sick. I researched some options and decided to get the ear patch and hope that it would work. I’m a believer that when good opportunities throw themselves at your feet, you don’t walk away, you give it a try. So, I excitedly accepted the opportunity and a couple of days later I booked my flights for the European part of my epic adventure! Before boarding, we filled out a tiny bit of paperwork and then streamed through security and walked to the gangway. Easey peasy! With only 200 people to board and only half of them there at beginning, wait times were non-existent. We were greeted with a welcome drink, snacks and music and then I filed through the short line up and one of the staff members eagerly showed me to my cabin, gave me a quick overview and left me to settle in. Florentina had made arrangements for a group of us to meet for supper, so I took a few minutes and unpacked my entire suitcase. 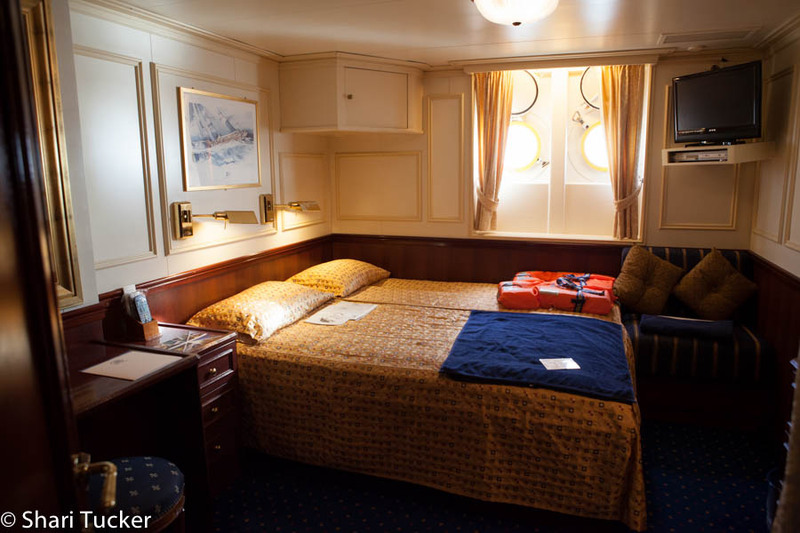 One of the best parts about a cruise is that you can unpack because you stay in the same room for the duration of your trip. I hung up my dresses, stored my shoes and put my toiletries in the bathroom. After cleaning myself up from a long day of travel, I got dressed up and headed up to the sun deck for our very first sail-away, from Venice, at 7pm. 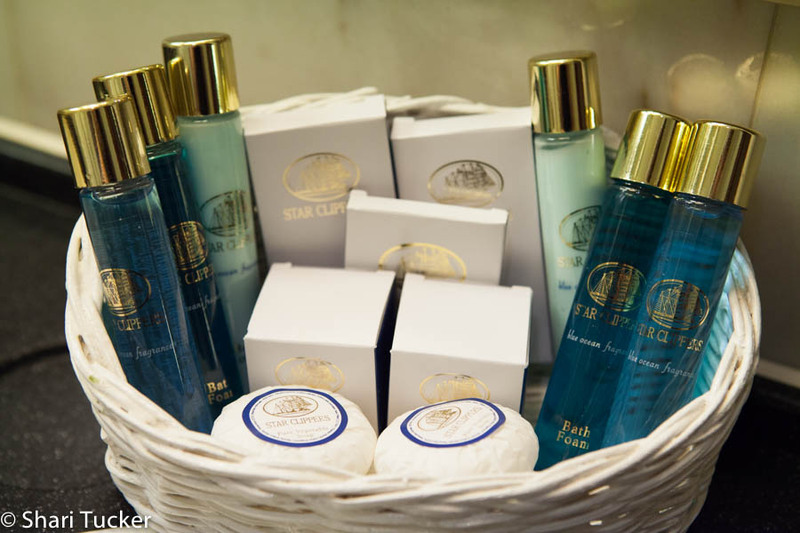 If you are interested in a sailing adventure, I highly recommend Star Clippers and would love to help you find the destinations that are perfect for you! You can reach me at stucker@tpi.ca. I’m hooked! Looking forward to your next entry.